This was created during the Artists' and Illustrators' Exhibition 2005. I was demonstrating Copic markers at the Sweatdrop Studios table. 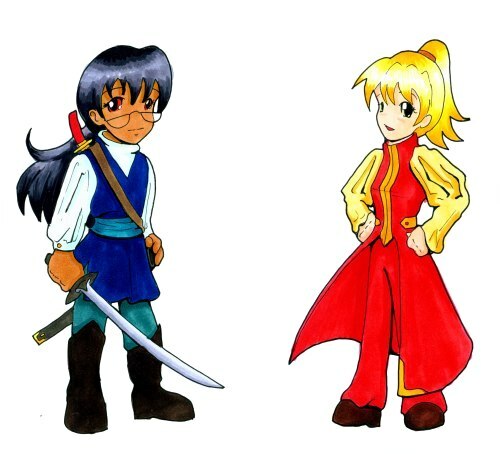 These were potential designs for future costumes for Rua and Miriam; Miriam's is in use but the colour has been changed (if she wears red, she looks far too similar to Kite).